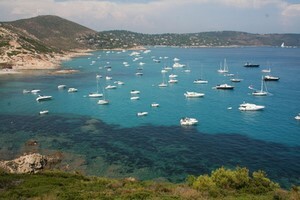 Compare prices on car hire in Antibes from all the major brands and find the best deals. When you book through us, unlimited mileage and insurance are always included in the price given. Antibes, southeastern France , the Mediterranean Sea – specifically in the region Provence-Alpes on the Côte d’Azur (“The French Riviera”) – between Cannes and Nice .Antibes belongs to the Ministry (the county) Alpes-Maritimes, and has approx. 75,800 inhabitants. The city was founded 300 years beforeKr. by the Greeks. Antibes has one of Europe’s largest marina – Port Vauban – where luxury yachts are moored side by side. Tourists might come first and foremost to Antibes to experience pleasant climate, beautiful sandy beaches and azure blue sea, but the city also has historical attractions and sights. The old town of Antibes is an attraction in itself, with its narrow alleys and streets – as well as small shops. Another popular attraction in town, the Picasso Museum, located in the castle “Château Grimaldi.” The collection consists of more than 300 works created by Picasso, from the time when he lived in this city. Another attraction is the star-shaped fort “Le Fort Carré” from 1550-century. Antibes is also an archaeological museum and a beautiful botanical garden. For families with children to Marineland be attractive, a theme park located just outside the city including dolphin show, the butterfly farm and water park. Nearest international airport is located in the city of Nice – Aéroport Nice Côte d’Azur – about 20 miles northeast of Antibes.